Build in a box window seat for some extra seating or to make use of a window space for a book nook/chill out zone. We love this one from Newcastle Design, with built in storage below the seat. We love this idea from Remodeling Zone for using the end of unit space for an organiser area. 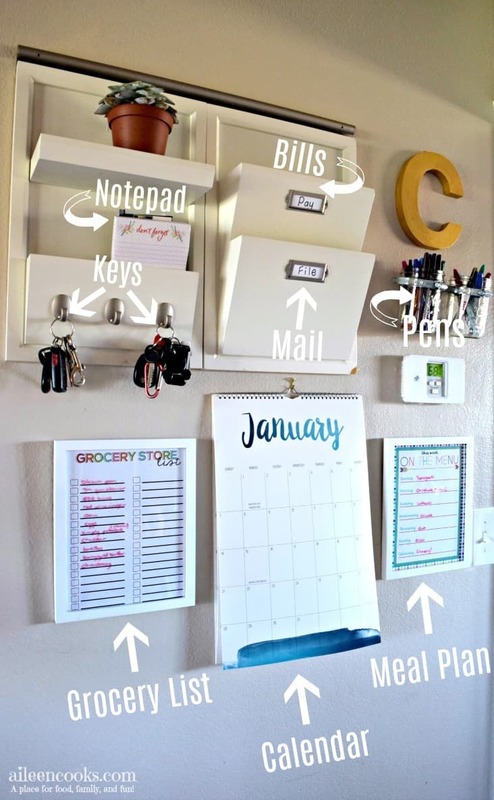 They have attached holders for pencils and a calendar and cubbies for family members to pop things into. And some nice pics to inspire. 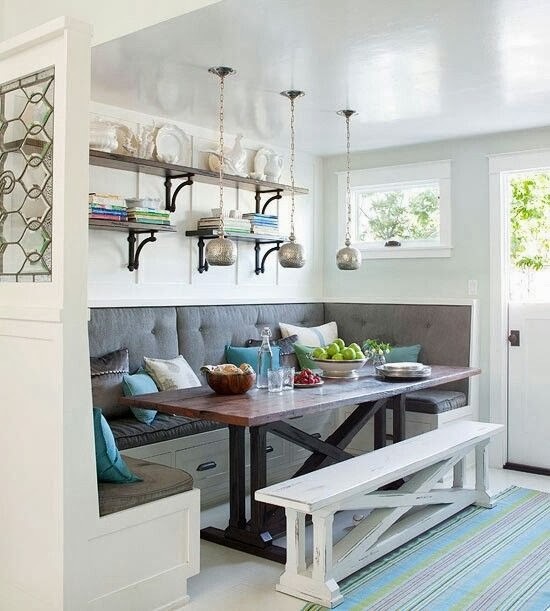 Love this idea from BHG.com for a wraparound bench or banquette to make a breakfast nook. Again there is built in storage below the seating and you just have a bench on the outside and can fit lots of kids, friends and family in! 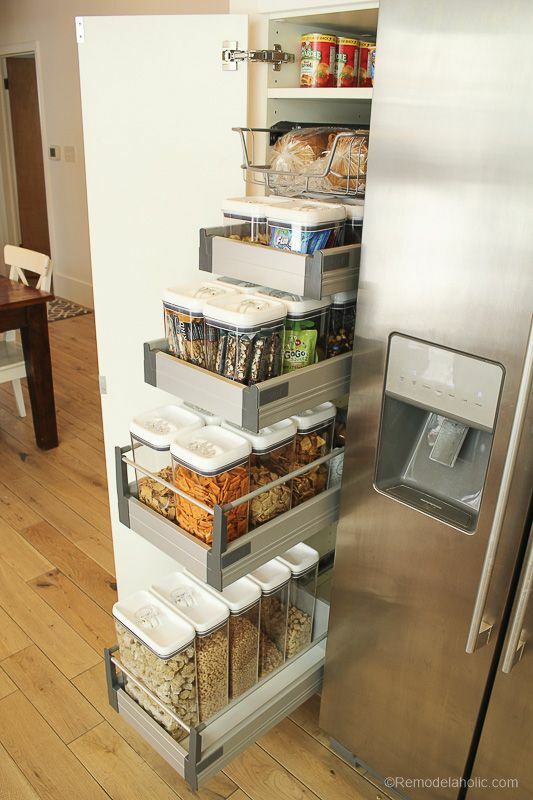 Pull out storage helps maximise cupboard space like this example from Remodelaholic.com with a thin pantry-style pull out cupboard, clever built-in shelving and clearly labelled containers giving everything a home. 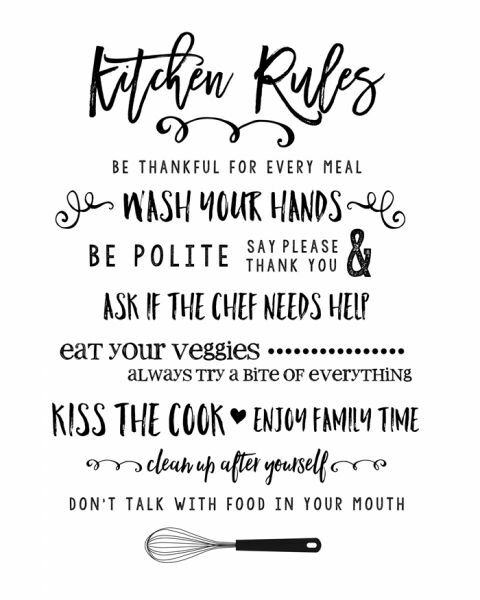 This lovely “Family Recipe” is a stick-on vinyl and is available on Etsy while the “Family Rules” is a free printable available on Lil Luna. 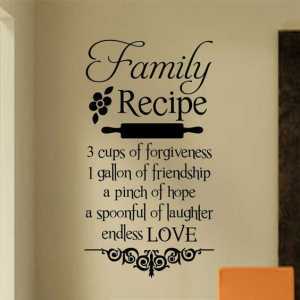 Or you could find a nice quote and have a go at painting the lettering on yourself! 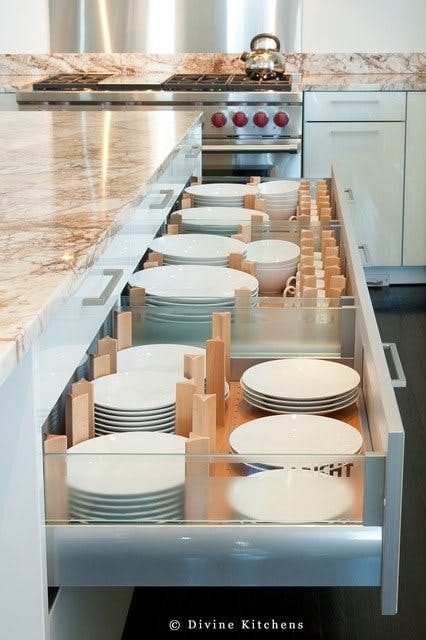 This is a genius idea from Divine Design + Build to put plates in a drawer rather than a high up cupboard – no more excuses like “I can’t reach the plates” for setting the table! 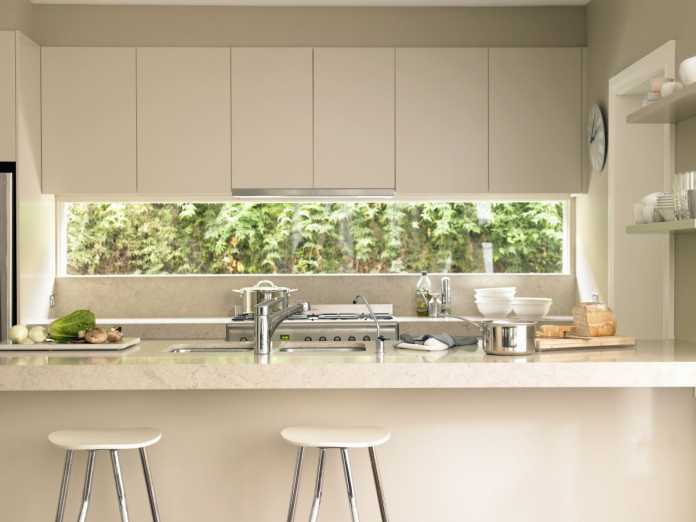 Go for a bright colour for an accent in your kitchen. 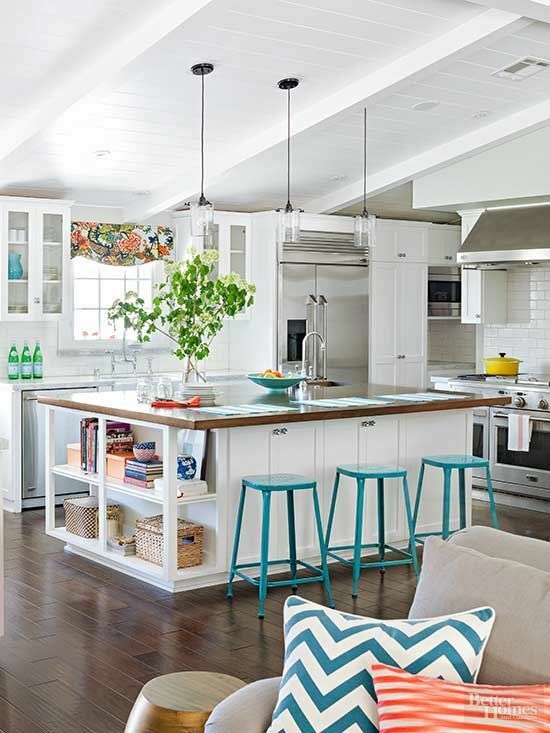 For example, these blue kitchen counter stools on this renovation project on BHG.com not only brighten the room up but they make a nice feature and draw the eye to the feature. They have matched the colour of the stools with other accessories too. 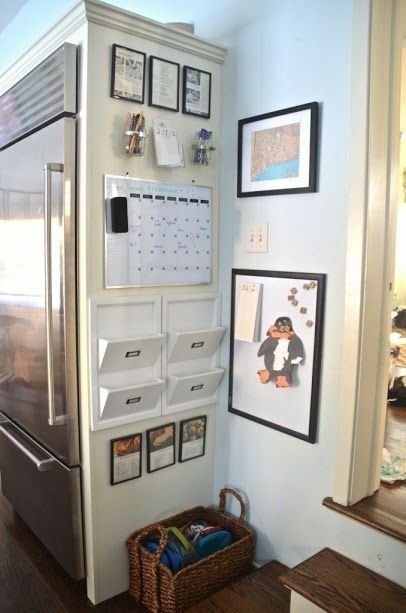 Another great idea for kids for easier access for cutlery. 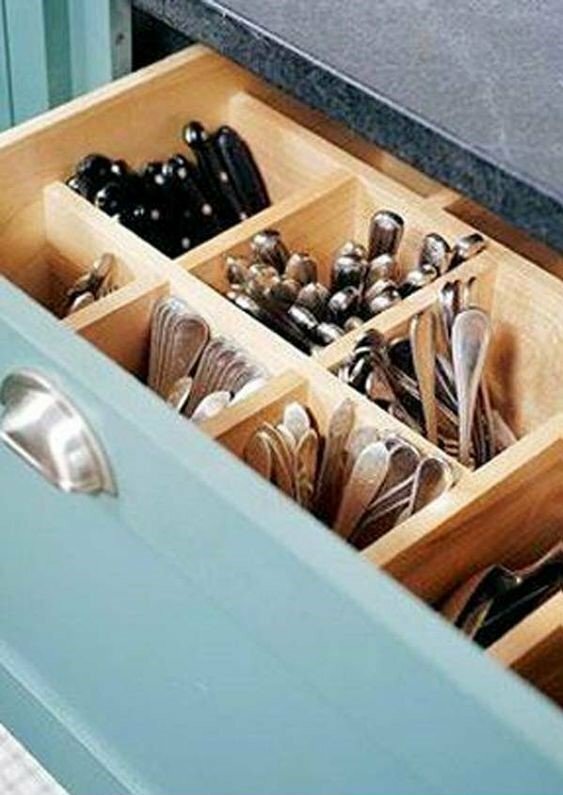 Store the cutlery in tubs vertically instead of the usual horizontal in a tray option. 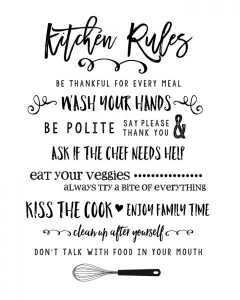 While we tend to go online for recipes nowadays, there are still some favourite cookbooks I keep and use and I’m always struggling for where to keep them in my kitchen. I love the way this kitchen has used an end space by building shelving for cookbook storage. Over to you now. 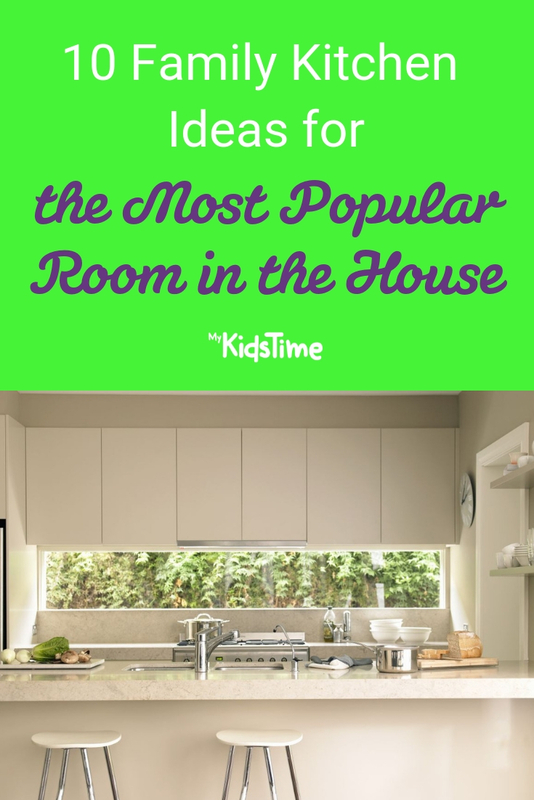 Have you enjoyed these family kitchen ideas? Did you put anything in place in your kitchen that has really worked? Tell us in the comments below. Previous articleThese Water Parks in Ireland Are Well Wicked!